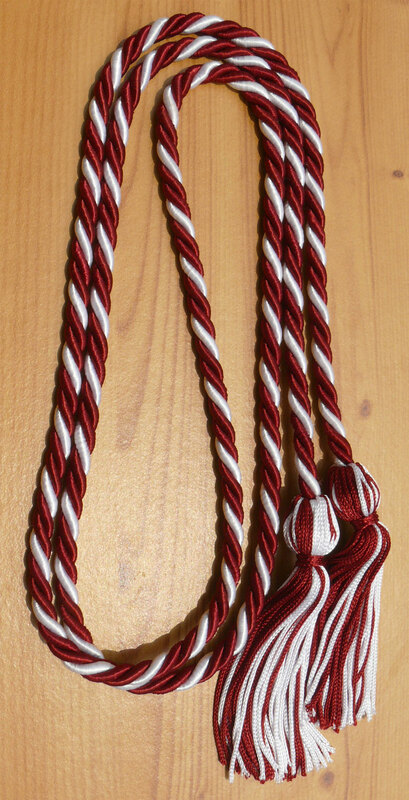 Customer Reviews on "Maroon & White Intertwined Graduation Honor Cord"
The cords&#39; quality is really nice! I really enjoyed the quality of the product. My students were very excited to receive them. My only complaint was Fedex delayed the shipping by multiple days and did not refund the shipping cost when it arrived 5 days later than it was supposed to. Write you own review on "Maroon & White Intertwined Graduation Honor Cord"